The High Court has today ruled in favour of the government on the challenge by BT and TalkTalk against the controversial Digital Economy Act. Both ISPs claimed that the legislation was rushed through parliament too quickly by the last government, stating that the act is seriously flawed and 'incompatible' with European law. BT and TalkTalk's lawyers also stated that the Act, which would implement a 'three-strikes' system against file sharers, would "impact on the privacy and free expression rights" of UK internet users. 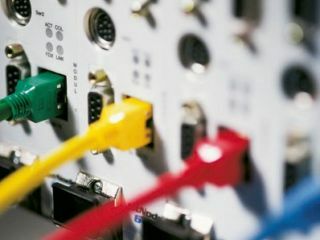 However, the opposition, Department for Culture, Media and Sport, argued that the Act contains safeguards to protect the rights of consumers and ISPs alike. The ISPs' case proved unsuccessful, with the High Court ruling in favour of the UK government on all four counts and stating that the legislation is in line with EU laws. "The High Court today ruled in favour of the Government in a judicial review of measures to tackle online copyright infringement in the Digital Economy Act. "Mr Justice Kenneth Parker upheld the principle of taking measures to tackle the unlawful downloading of music, films, books and other copyright material. BT and TalkTalk had brought the judicial review, claiming that the measures in the Act were not compliant with EU law and were not proportionate. The judge rejected the challenge. "The judicial review also considered the statutory instrument that splits the cost of the Act's mass notification system between rights holders and internet service providers. "The judge ruled ISPs could be made to pay a share of the cost of operating the system and the appeals process but not Ofcom's costs from setting up, monitoring and enforcing it. The Government will now consider changes to the statutory instrument." The ISPs can claim one small victory on cost grounds, but we have a feeling this won't really prove much consolation. "This was always about seeking clarity on certain points of law and we have to consider whether this judgement achieves these aims." The legislation will likely take months, if not years, to come into practice so this may not be the last we hear from ISPs on the subject, with BT and TalkTalk no doubt looking for any available loopholes to exploit.